Right there alongside baseball, watermelon slices, and backyard barbecues, nothing says summer quite like a day at the local pool. When it’s 95 and muggy and there’s practically nothing else you can do outside, the pool is the saving grace for many families, providing hours of fun for the kids and maybe even a bit of relaxation for their parents. 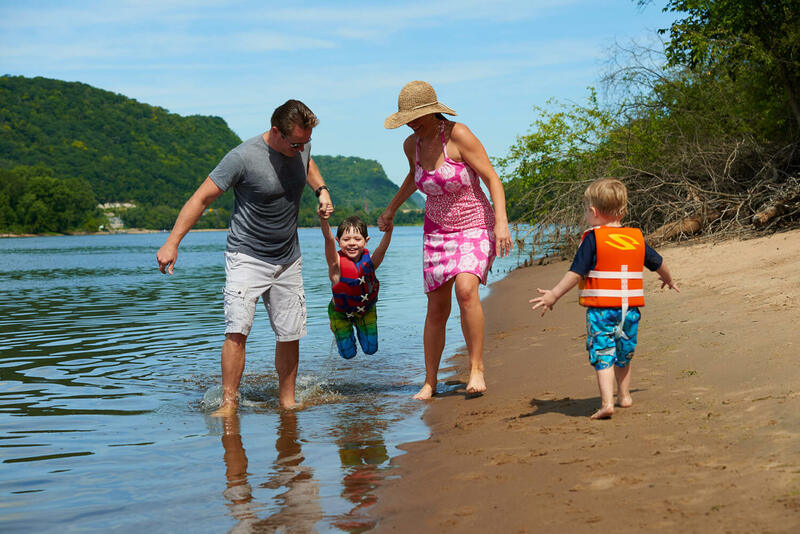 La Crosse County offers excellent swimming facilities, with six public swimming pools, two public beaches, and a splash park. La Crosse County’s six public pools are local favorites all summer long. Zero depth entry pools, water slides, children’s water features, lap lanes and more. You are sure to find a great way to cool off in the hot summer months. The splash pad at Copeland Park is free! La Crosse’s wide rivers and their myriad channels and backwaters create a number of places where swimming is safe and fun, and there is free public access to three such sites, Pettibone Park, directly across from downtown on the Mississippi’s main channel, Black River Beach, just a couple of miles north of downtown La Crosse, and Neshonoc Swarthout Beach on Lake Neshonoc in West Salem. The beaches offer parking, changing facilities, beach volleyball, and more. UW-La Crosse, Mitchell Hall, La Crosse, WI. Open to public (admission fees apply); memberships available for students, faculty, alumni, & emeriti. Pool Calendar. YMCA, La Crosse Branch: 1140 Main Street, La Crosse. 608-782-9622. North Branch: 400 Mason Street, Onalaska. 608-783-9622. Membership required. Pool Calendar. If swimming is a part of your daily regimen, or if your kids pine for the water even in the dead of winter, there are indoor swimming options for you! Open swim times vary, so be sure to check ahead.